One of my favourite commercials is the Amazon one with the dog who “becomes” a lion. This isn’t about buying a lion costume for the sake of owning one. It’s about the lifestyle that the family wants to have. It’s about their desire for a cohesive family unit that includes their beloved pet. It’s a way for everyone to feel happy at home. So in the same way, when it comes to marketing a home for sale, it’s not about selling the house itself. It’s about selling what lifestyle the home will offer the people who choose to live in it. It’s about tapping into the values and desires of those buyers. To do that, a professional home stager offers lifestyle merchandising. But first, it requires that the stager has a solid understanding of who the most likely buyers will be. That’s the teamwork that combines the expertise of both realtor and stager. And it offers the best results when it comes to selling real estate. What lifestyle does your most likely potential buyer want to achieve as a result of buying your product (aka the listed property)? 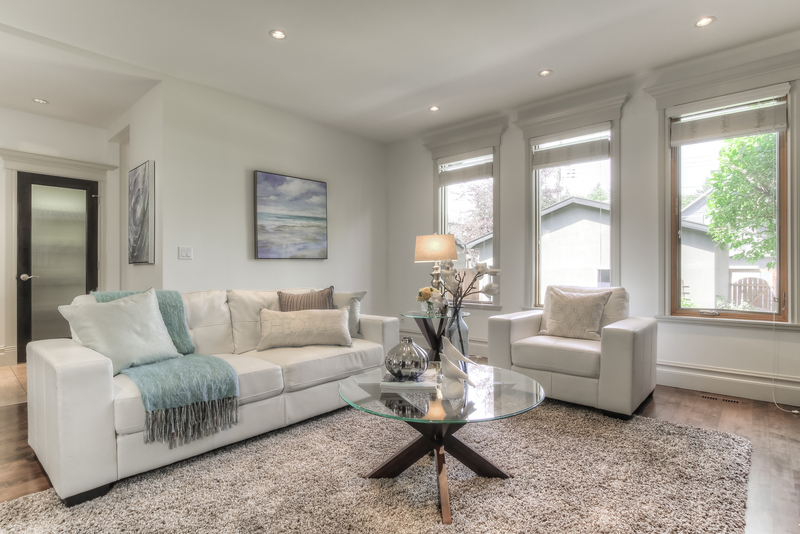 Your go-to stager will make the property come to life with that understanding in mind. A born and raised Calgarian, I proudly help Calgary realtors and their clients achieve their real estate goals. Call or email me, Elysse at Simply Stylish Staging. Let’s chat about how I successfully use lifestyle merchandising to stage listings that sell.